A charming and comfortable double room with nice artefacts from the owner family’s unique collection. In the room there is a comfortable double bed (2x90cm) and a writing area. 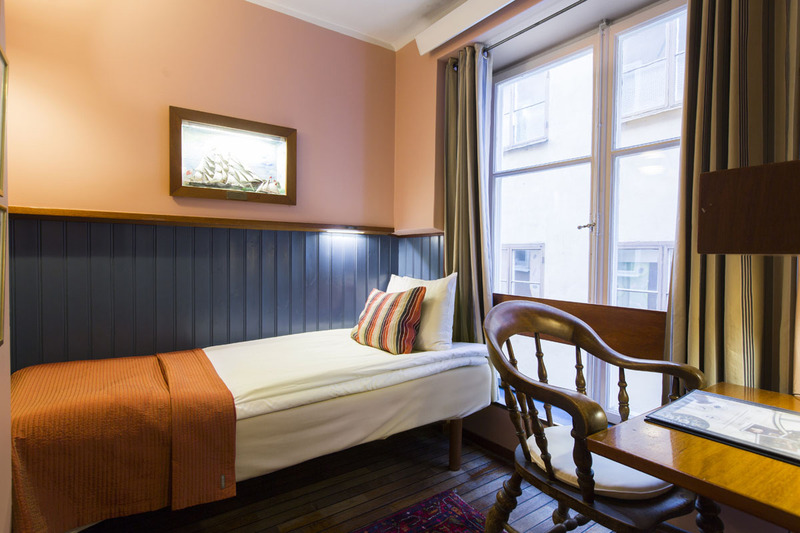 All rooms also have large windows with glorious lights, and outskirts of Old Town's cosy streets. An intimate and cosy double room which is slightly smaller than the standard room. It still has a work space and a big nice window with a view over the cosy streets in the Old Town. Our compact double room is equipped with a 140 cm wide bed. Stay with us in a cosy cabin with a work space and a big window that makes the room nice and bright. 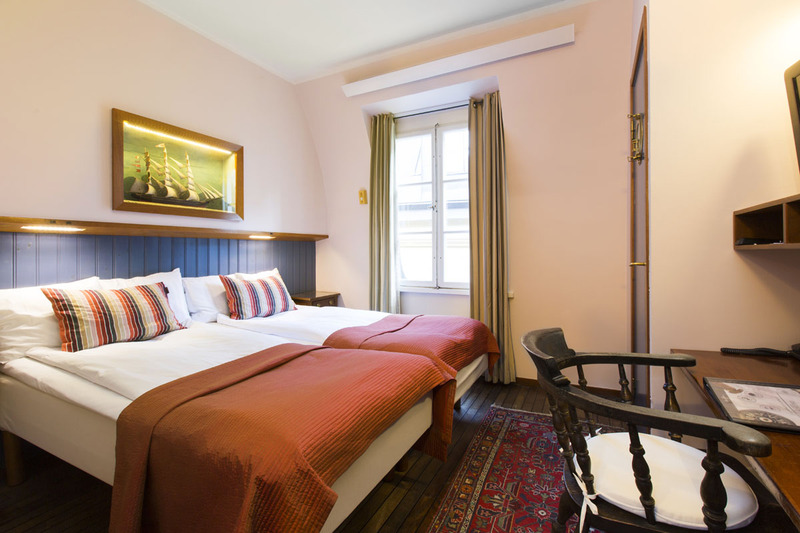 You may feel like you are staying on a ship, but when you look outside you see you are in the middle of the Old Town - close to everything that Stockholm offers as a city. 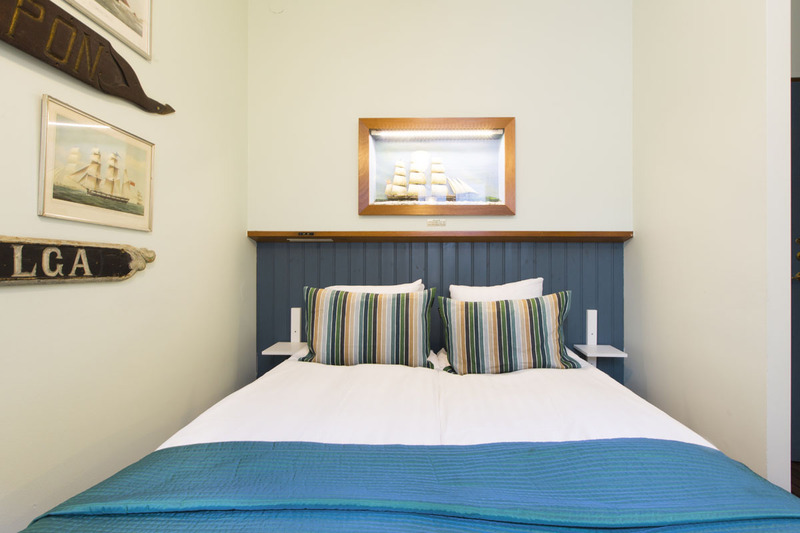 In the smallest of our hotels, you can choose a single or double room and then drift away in one of the cabins like you were at sea. 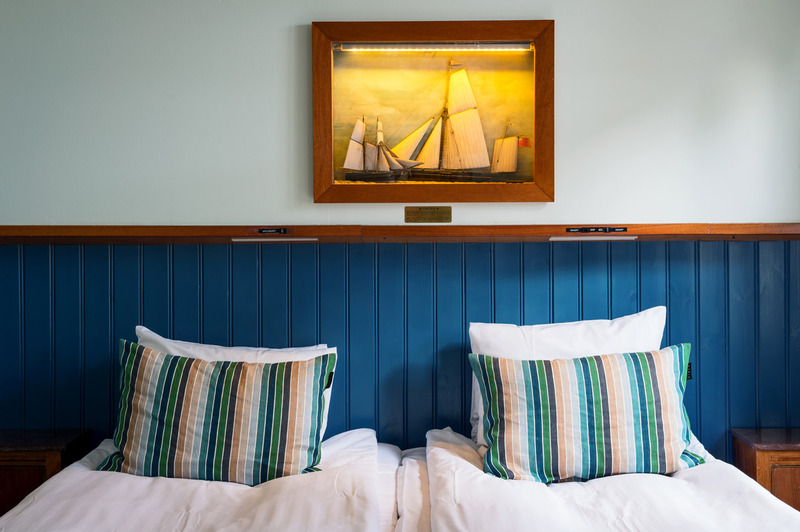 Then rest your eyes on the beautiful model of a ship in your cabin – it is an exact copy of the antique ship that the room is named after.